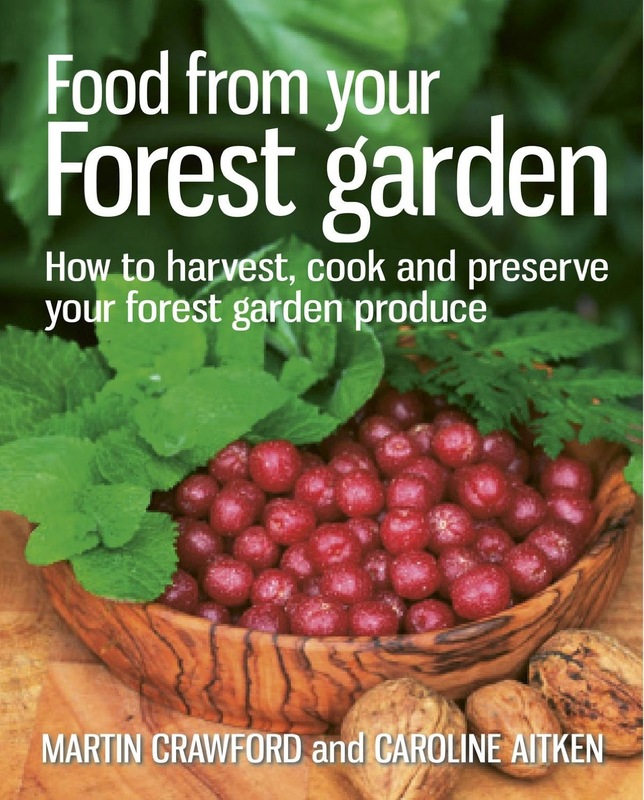 I have recently written about the 'hungry gap' on the Permaculture Magazine website, a term which describes the time of year when annual vegetables are not cropping. This time period can run from early spring when the winter crops are finished up until early summer when the new year's vegetables are starting to crop. It is a peculiarity of annual vegetable cultivation and the practice of raising new plants each year from seed. When growing perennial vegetables you avoid this issue as the mature plants get going much faster in the spring. But it is not only the plants we intentionally grow which can give hungry gap yields; many of the wild plants we forage for their leaves are available in abundance during the springtime, and are often, but their very nature abundant in vitamins and minerals. The classic example of a wild 'super food' that is never far away is the humble nettle. Most people are aware that nettles are edible, but fewer people are aware of how rich they are in minerals such as iron and calcium, making them wonderfully restorative after a winter of living on preserved and starchy foods (if attempting to eat seasonal, local produce). The best time to harvest nettles is in their first flush of growth which will vary from year to year but is normally in April. Pick just the top few leaves where the stem is soft and green - these are known as the 'tops'. You can harvest new growth of nettles after they have been cut later in the year, but be sure to pick only the soft green stems as the darker stems are fibrous and tough. In fact they are so fibrous that they can be used to make twine and rope, or even fabrics for sacking and clothing. Later in the year when you have enjoyed eating the tops you can use nettles to make liquid plant feed which is high in phosphorous and nitrogen - great plant growth nutrients. Simply steep bunches of nettles in water for a day or so and then strain off the water, dilute by about 1:10 and water your vegetables with it. It is important to note that once your fruiting crops set flowers you should stop feeding them with nettles and switch to a comfrey feed which will aid fruiting.....but that's another blog post! Nettles can be treated much like any other light, leafy vegetable. They work better included in a dish than used as a side vegetable and are particularly good with eggs, for example in quiches as pictured below, in a souffle or simply wilted with a poached egg on top. I enjoy nettles added to curries and stews towards the end of their cooking time to add a bit of freshness, and equally added to creamy pasta or gnocci dishes. The obvious thing of course is to make a sumptuously creamy green soup, as pictured, which will nourish your soul as well as your body on those chilly spring days when the sun goes in and the wind picks up and you realise you're not into summer time yet! Below is a simple nettle soup recipe and a Ramson and Nettle Pesto which will allow you to capture those fresh spring flavours and enjoy them later in the year. Heat the oil in a deep saucepan over a medium heat. Add the onion and leek and fry for 5 minutes until soft. Add the stock and potatoes and bring up to the boil. Once boiling, reduce the heat, cover the pan and simmer for 10 minutes. Check the potatoes are soft, if they are not continue simmering for another few minutes. Add the nettles and ramsons, replace the lid and allow the leaves to wilt into the soup. This will take about 2 minutes. Remove the pan from the heat and allow to stand for 5 minutes. Using a stick blender or liquidiser blend the soup until smooth. Stir in the cream and taste the soup, then season accordingly. Return to a medium heat until it almost boils, remove from the heat and serve. Quantities are approximate and should make one jar or roughly four servings, but ratios can be tweaked as per your preferences. Blend together all ingredients to form a paste. Transfer to a sterilised jar and seal with a layer of oil. It will keep in the fridge for a couple of weeks or can be frozen in a plastic storage container.